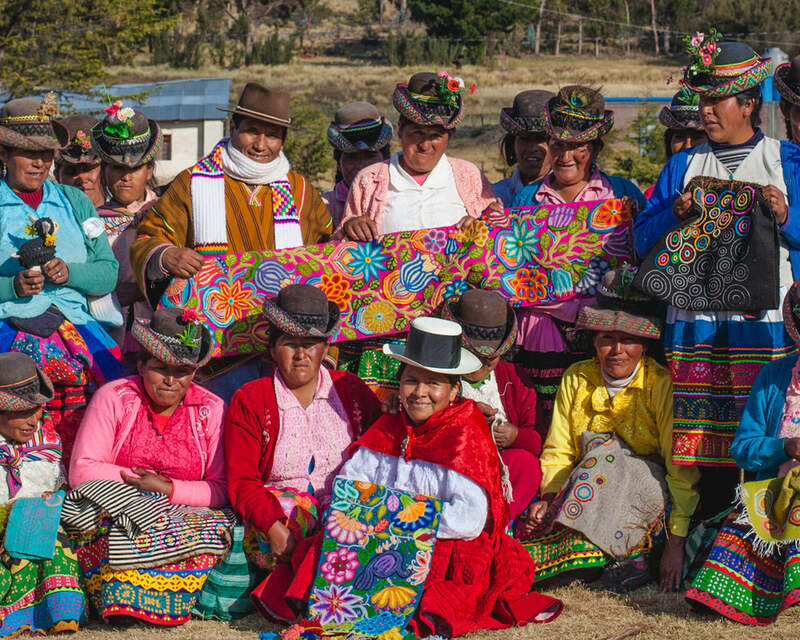 Hilos y Colores is an artisan group in Ayacucho, Peru that preserves and promotes ancestral textile techniques. We were lucky enough to work with them, alongside the non-profit Nest, to create this special collection of limited edition embroidered bags. The craftsmanship and detail on each piece is so stunning. Everyone in the FEED HQ has been trying to get her hands on one, which is no small feat considering the limited run. Because of the intricate hand embroidery that went into each bag, only 100 of these bags exist. Each one was uniquely embroidered using a design our designers worked with the women of Hilos y Colores to create and execute. This collection is special for many reasons, not least of which is its heritage. Ayacucho is known as the Capital of Folk Art and Crafts of Peru. There is a richness and quality of craftsmanship there that exists in few places around the world. It was truly a privilege to bring a piece of that to our customers. True to the FEED 1 model, each embroidered artisan bag provides one child with school meals for a year. Beyond the donation, however, this collection also contributes to sustainable livelihoods. Hilos y Colores supports 600 families, many of whom were displaced from their original communities. Your purchase helps provide for the families of the women who applied their embroidery skills to these limited edition bags.